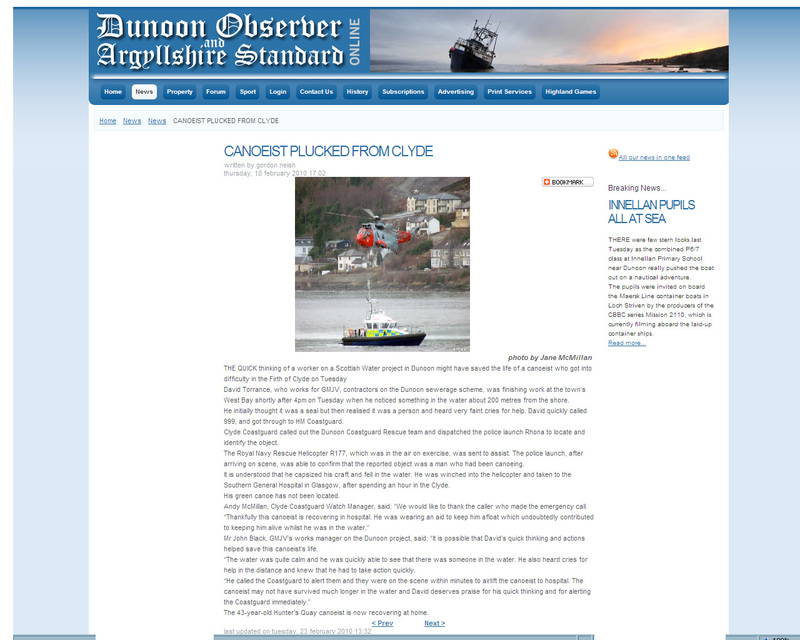 MOD Police boat Rhona was involved in the rescue of a capsized canoeist in the Firth of Clyde. The boat was called in by the Clyde Coastguard to assist in the rescue of a 43 year old man who had capsized and become separated from his canoe. He was lifted from the water by the Royal Navy Rescue Helicopter R177 and is now recovering well. 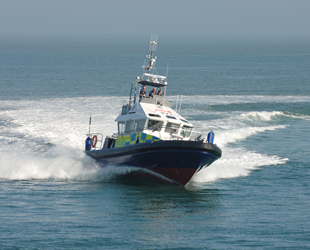 Police boat Rhona was built by Holyhead marine Services and went into service on August 4th 2009. She is the 3rd of 6 patrol boats currentlybeing built for the MOD Police.